Tuesday November 6, 2018 - NASA leader, Raila Odinga, has finally ended speculation that he will be actively involved in the 2022 succession politics. This is after he took a 4 years sabbatical from Kenyan politics to concentrate on his new role as African Union High Representative on Infrastructure and Development. In a statement by his Spokesman, Dennis Onyango, Raila said he will not engage in local politics but will focus on his new role in the African Union Commission. 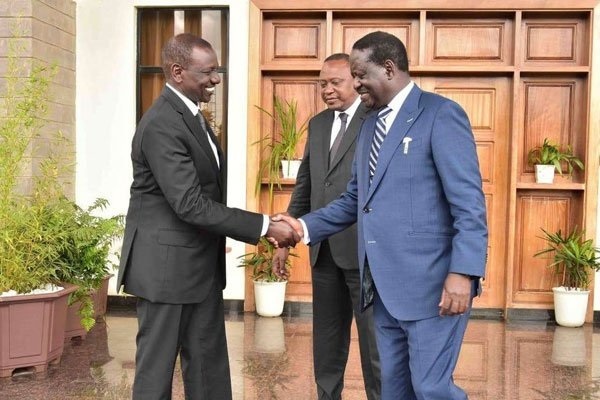 “To provide the required leadership in this critical area, and in line with his previous pronouncements, Odinga wishes to reiterate that he will not engage in Kenya’s succession politics ahead of 2022,” the statement read. The NASA leader said he will dedicate the 4 years out of politics to building infrastructure across Africa and uniting Kenyans. ''I want to dedicate the next couple of years to building infrastructure across the continent through his new office and uniting Kenyans through the Building Bridges to the New Kenyan Nation (BBI),'' Raila added. Raila’s announcement got some of his friends and foes in politics by surprise considering that he had vowed never to retire from active politics as a result of his appointment by AU.